The Care Certificate is a set of 15 standards that social care and health workers must adhere to in their working life. It consists of the minimum standards that we teach to our carers to ensure that they are fully comfortable within their roles and prepared to deliver the highest quality of care possible in private care and elderly care sector. All the above form part of the standard training that we deliver in order to improve quality of care and to boost the confidence of our live-in carers in providing the best service to our clients. The training delivered at our Academy of Care is of the highest standard and is in accordance with UK standards. 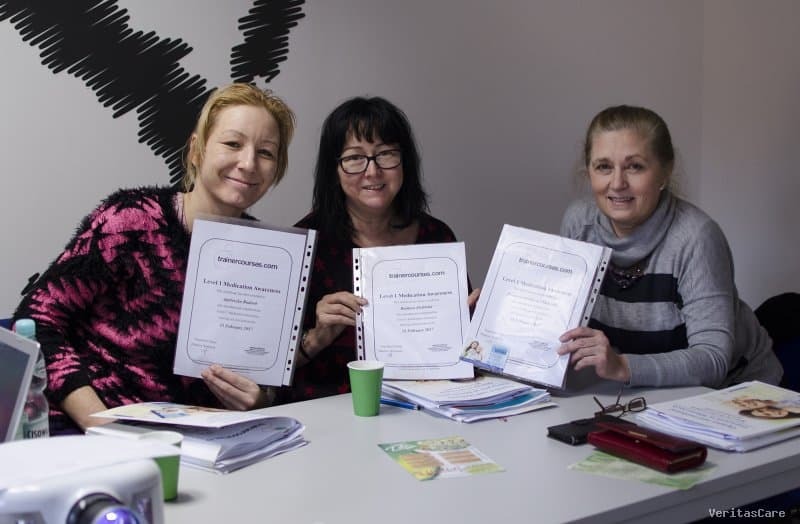 Upon completion of our training, our carers receive certificates which include their newly acquired competences. Certificates are subject to review every two years. It is worth mentioning that our training meets the recommendations of the UK’s Care Quality Commission (CQC) in order to ensure the highest quality of live-in care service.